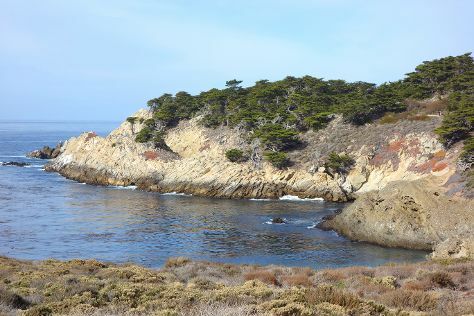 You'll find plenty of places to visit near Santa Cruz: Carmel (Carmel City Beach/Carmel River Beach, Point Lobos State Reserve, & more) and Monterey (Dolphin & Whale Watching, San Carlos Cathedral, & more). Next up on the itinerary: find something for the whole family at Santa Cruz Beach Boardwalk and explore and take pictures at West Cliff Drive. For photos, ratings, traveler tips, and more tourist information, go to the Santa Cruz trip generator. If you are flying in from Canada, the closest major airports are San Francisco International Airport, Norman Y. Mineta San Jose International Airport and Metropolitan Oakland International Airport. In August, daytime highs in Santa Cruz are 26°C, while nighttime lows are 14°C. Finish your sightseeing early on the 9th (Wed) to allow enough time to travel back home.